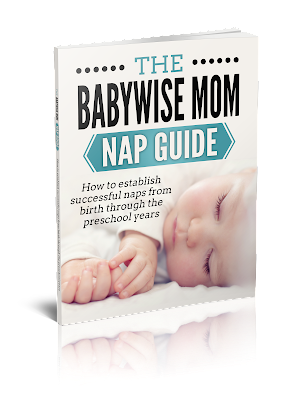 When baby will not fall asleep for naps or for bedtime, follow these steps to get baby to fall asleep. Help when baby won’t sleep. It can be very stressful when baby takes a long time to fall asleep. You are left wondering what to do and how to respond. Do you leave baby there? Do you get baby up? Do you help baby fall asleep? Let’s discuss this situation and how to handle it. When baby is taking a long time to fall asleep, here are the steps to take. Repeat your sleep routine. Go in to baby and do your entire sleep routine or an abbreviated version of the sleep routine. Then put baby back into the bed to fall asleep on his or her own. This will work for some babies. For others, it will upset baby and baby will never fall asleep independently for this nap. Brayden was the type of baby who did not do well if I went in at all. No way. For all of my girls, I could go in and do a resettle and they would go to sleep. Some babies will respond to a resettle, but only at the perfect timing for that baby. That might be 15 minutes for one baby and 25 for another. This illustrates how important it is to take notes! Do it! Take notes! Keep track of what you try and if it works or not. I promise you will not remember all of the details. Not even those of you with amazing memories. You can use a simple notebook and paper. You can also buy my Book of Logs. These are the actual tracking sheets I made to use with my babies. I have tracking sheets for sleep training, dreamfeed, optimal waketime, independent playtime, daily schedules… It is super helpful. This helps baby not get too tired to sleep. 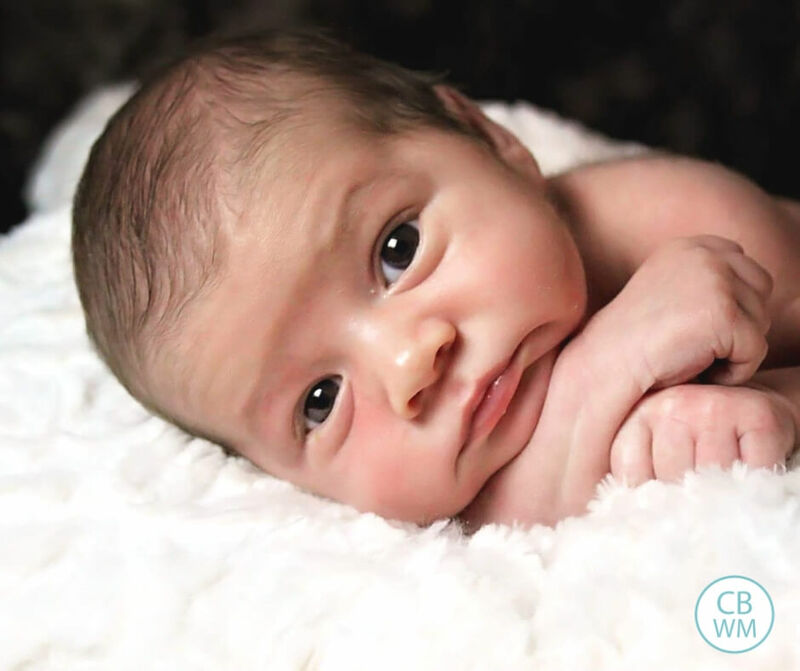 Ideally, your baby will resettle and go to sleep in his or her crib or bassinet. If not, you want baby to at least sleep. Getting sleep in a swing is better than no sleep at all. 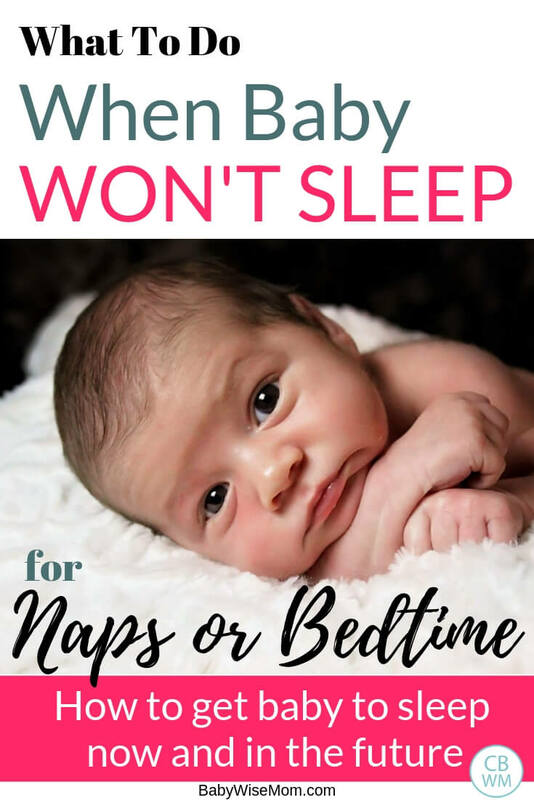 I have several posts with my sleep hierarchy for the various ages of baby to help you decide when it is okay to do a swing or something similar or when it is better to try to get baby to sleep in the crib. 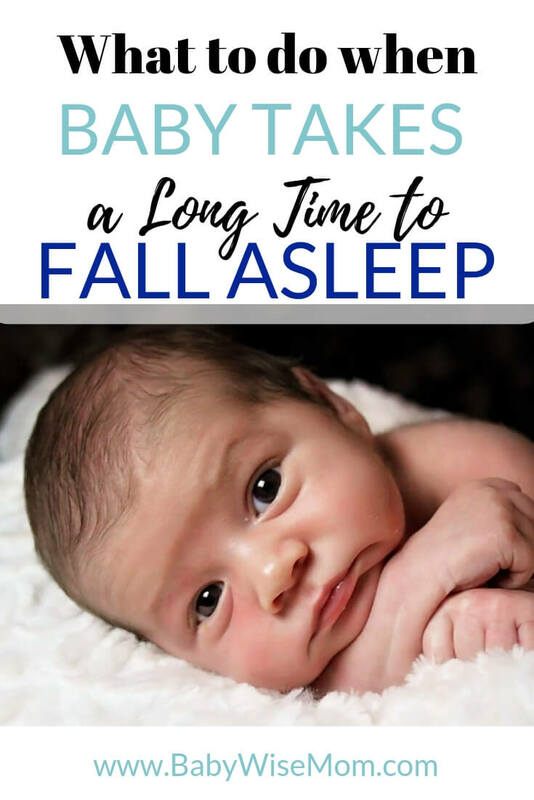 If baby will not fall asleep after you resettle and baby will not sleep in a swing or other location, you will want to leave your little one to fall asleep independently. If baby will not fall asleep at all, just get baby up and do your next cycle. Wait to feed baby as close to feeding time as possible (unless baby is having a growth spurt — remember to always feed baby when baby is hungry). Once you do feed baby, you will likely need to put baby to bed soon after the feeding. You do not want baby getting overly tired. You can let baby take a longer nap to make up for the missed sleep from the previous nap. If this is happening at bed time, if baby will not fall asleep, get baby up, feed baby, and put baby right back to bed. Track sleep cues. Make sure you have cues correct. Look back at your notes and see what things are in common when baby does not fall asleep. Is it the waketime length? Is it the sleep routine? Look at all of the details. If baby is sick or in pain from something (like an ear infection, reflux, or gas), baby will have a hard time sleeping. If baby’s waketime length isn’t correct, baby will not sleep well. Even a five minute difference can make or break a nap. Read: Optimal Waketime Lengths and The Cornerstone for Good Naps for more information on this. Your baby might have too much stimulation or might need more stimulation. Evaluate these and see if baby needs a change. Read Importance of Exercise and Stimulation for Sleep. Sometimes baby does not sleep well because the schedule needs to change. If baby is on a 3 hour schedule, you might need to move to a 3.5 hour schedule or might need to move to a 4 hour shedule. Read up on when to move to a 4 hour schedule here. Baby might need to drop a nap. Too much day time sleep can lead to a hard time falling asleep at night or falling asleep for naps. Read up on these dropping naps tips so you can know if it is time to drop a nap or not. Your baby will have a hard time sleeping well if you do not have consistency in your daily schedule. Have a consistent time you start each day. Have a consistent bedtime each day. Try your best to keep a consistent schedule throughout the day. Changes will come. When there are growth spurts, the schedule will be different. That is okay! Read up on Getting a Consistent Schedule here. Part of your consistency needs to be with your sleep routine. Have a consistent sleep routine you have before naps and before bedtime. See my Sample Nap Routines here. Set your baby’s sleep environment up for the best sleep possible. 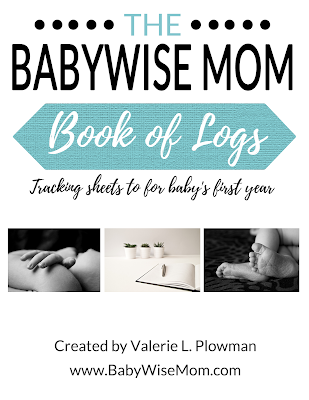 See my post on Essential Elements to Any Babywise Bedroom for help setting things up for the best sleep. When baby has a hard time falling asleep, follow these steps to get baby sleeping and to prevent future difficulty falling asleep.